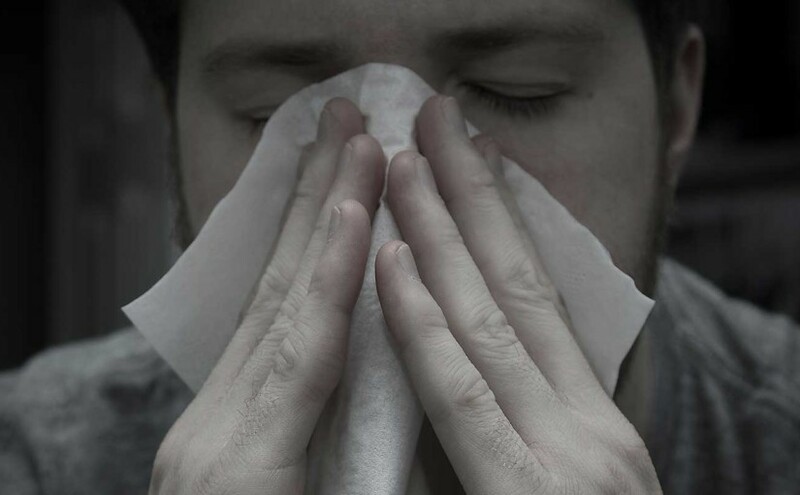 If you’re having trouble controlling your allergies, then see an allergist. I get a bit anxious around doctors, but some of these guys are miracle workers. More importantly, they can do a variety of uncomfortable tests to figure out exactly which allergens are making you miserable. For instance, after pricking me a few dozen times I was diagnosed as having allergies to trees and grass. Ya know, nature. Go me. I’m also allergic to dust mites, which coincidentally feed primarily on the dead skin cells that my body manufactures for them. Long ago, I came to the conclusion that my body is basically just a factory intent on its own destruction. So if you have both an allergy to dust mites and dry skin, you can inform people that you’re essentially allergic to yourself! Voila! No one can blame you for complaining about anything anymore. This is a good reason you’ll want to keep dry skin under control if you’re allergic to dust mites, but also keep in mind as you’re trying new methods of prevention to remember that there is indeed a link between allergies and dry skin. Read about a few key dry skin prevention methods and see a picture of me looking lonely here. Allergists can provide you with a variety of options to consider. Mine gave me two shots in each arm every week for five years. To be fair, those shots helped. If worse comes to worst, though, you can always move to Los Angeles, where everything is either dead or dying eight to ten months a year. Out here, I usually only get allergy attacks indoors. It’s like Bizarro Land. Pets can present a problem to any allergy sufferer. I won’t urge you to get rid of Fido, but before thinking about bringing a brand new living animal-teddy bear into your home, you should make sure you’ve had that allergy test. You don’t want to fall in love with a cuddly beast that makes your throat tighten every time it wanders in the room. Do not let pets sleep with you. Good advice even if you don’t have allergies. If your allergies explode every time the pollen count is high, then avoid outdoor exercise in the early morning hours. Later in the day is better. Indoors is best. There are air filtering masks out there, but I’m only saying this for thoroughness. I don’t expect that many would want to wear one. Hey, do whatcha gotta do! It’s important to avoid mold and mildew. If you start to see patches growing on your bathroom walls, find the appropriate chemical concoction and spray them out of existence. Last but not least, don’t eat things that might kill you. Take benadryl (or any other antihistamine that works for you). If you’re not sure, make sure you check with your doctor first. As you can see, you’ll want to spend more time worrying about allergy prevention. There isn’t much you can do once you’re feeling the effects. It should be noted that if you have a severe allergic reaction to anything, environmental or otherwise, you should call 911 or have someone take you to the hospital (I’ve been there). Don’t mess around. Allergies can be dangerous, especially to those of us with asthma (the one-two punch that sent me there). My goal isn’t to depress you. In fact, I just want you to feel better! If I can spare you even a fraction of the misery I’ve had to deal with over the years, then I’ll sleep better. If you have any questions, comments, additional tips and ideas, disagreements, or experiences that you’d like to share, then by all means please do so below. Thanks for reading!